One of the accepted truisms of modern business strategy is the importance of succeeding in the present while building for the future. 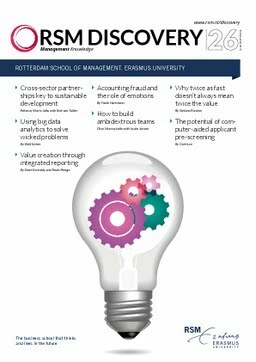 ‘This is one of the great challenges facing business,’ says Justin Jansen, professor of corporate entrepreneurship at RSM, who labels this dual objective “ambidexterity”. All successful organisations aspire to be ambidextrous. They want to focus on delivering superior customer value while giving equal time and resources to developing new products or discovering new ways to deliver value.